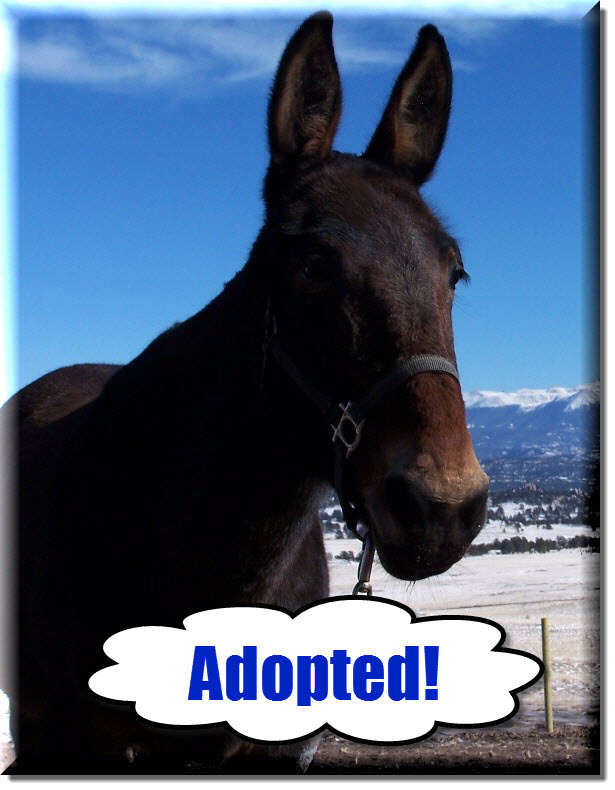 Our second rescue, "Maggie Mule", arrived in December 2012 from Rye, Colorado. "Mags" is a 21-year-old bay mule, and has been chronically lame in her right front leg for the past year. We hope that it is not a permanent condition. Unlike Diamond, Maggie is not shy at all -- she is very confident and curious. Maggie is just under 14 hands tall. *UPDATE:* Maggie has been adopted by a nice gentleman in Guffey -- we have visited her since her adoption and she is doing very well!